Used cars are a great way to buy a car on a budget. You can find like-new quality, for a fraction of the cost of an actual new vehicle. 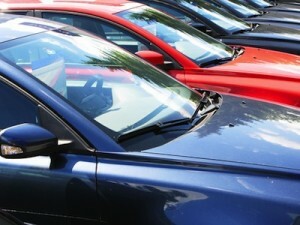 Shopping for a pre-owned vehicle doesnt have to be a stressful process as rumors would suggest. You dont need to be a professional negotiator, or a car expert to find a great car with a deal to math; you just need Quirk Pre-Owned. Our used car dealership only sells used cars, so we know our stuff. We have an extensive inventory, including a selection of featured vehicles, so you will get exactly what you need. Stop searching and start finding used cars near Boston; check out Quirk Pre-Owned to test-drive a vehicle. We not only offer a large selection of quality used cars, but we pick the best of the best for our drivers and put it one, organized location. Our featured vehicles are top-shelf, making your shopping experience that much easier for you. If you are looking for a vehicle that can handle the adventures of your life, check out our 2011 Toyota Tundra. This pickup is equipped with a 5.7-liter V-8 engine that produces 381 horsepower and 401 lb-ft of torque. The 2011 Toyota Tundra is off-road ready, so you can head into the woods and get some mud on the tires. Save money even after your purchase in the 2013 VW Jetta Diesel. This bold sedan flaunts sleek design cues and an elegant touch. Stay on the road, longer, with an EPA-estimated fuel economy rating of 30 mpg city and 42 mpg highway. We make shopping for Boston area used cars a breeze. Our selection boasts unrivaled quality, and prices you can afford. Check out Quirk Pre-Owned to test-drive a top-notch vehicle today!